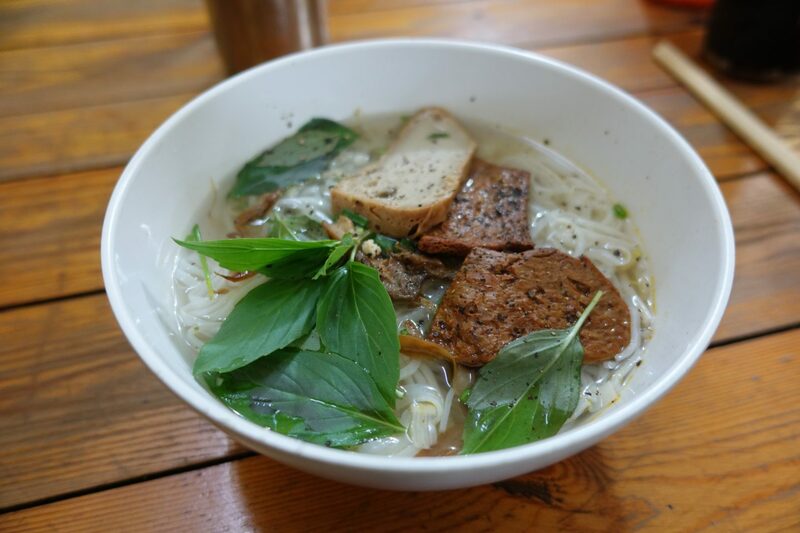 Chan Nhu II is my favorite vegan restaurant in Ho Chi Minh City! I stumbled upon this place on Happy Cow and knew that I needed to check it out. 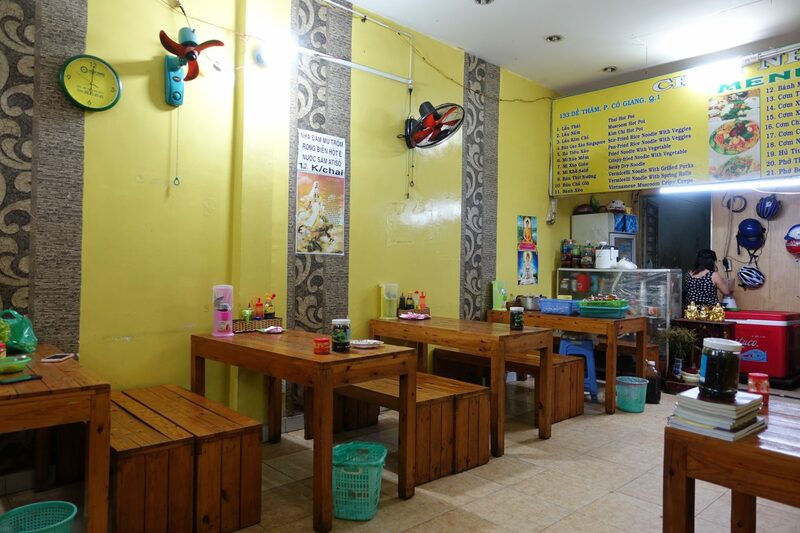 It’s a very small restaurant near the backpacking area and it’s popular among locals and tourists alike. 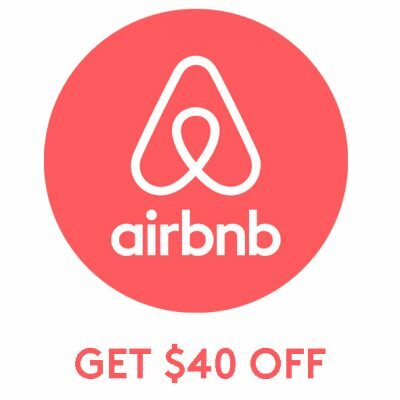 If you are looking for a low-key restaurant, then this is your place. 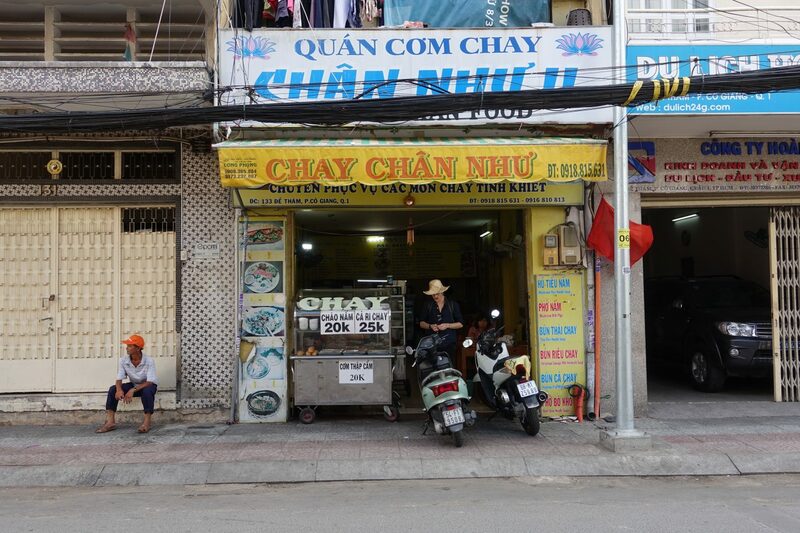 While staying in Ho Chi Minh City I ate at Chan Nhu II almost every single day. I was obsessed with it. 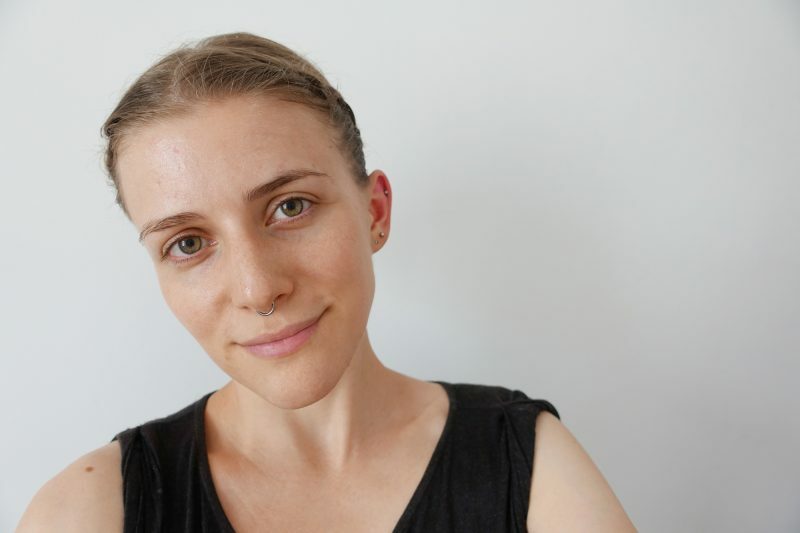 From looking at the menu almost everything is vegan. The only item I am not sure if is the cacao milk. 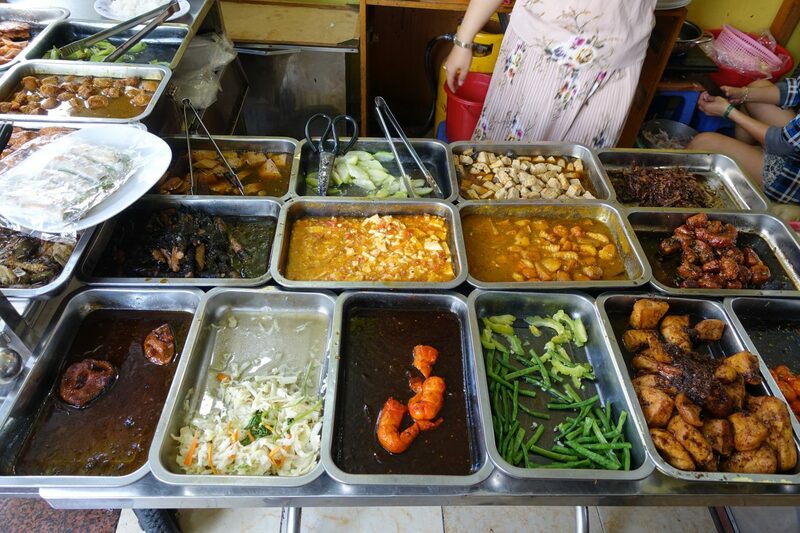 They offer a great variety of dishes and the food is between 15,000 to 40,000 VND. 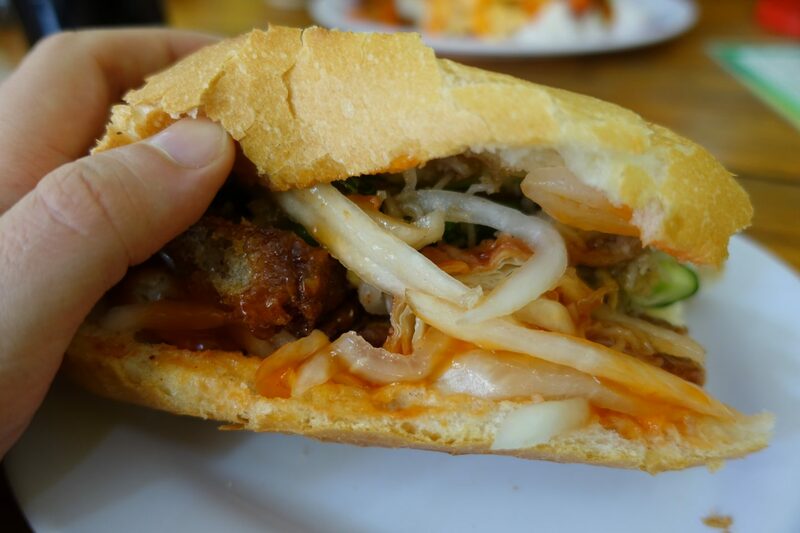 They have heaps of mock meat, vegetable dishes, a buffet and a vegan Banh Mi. 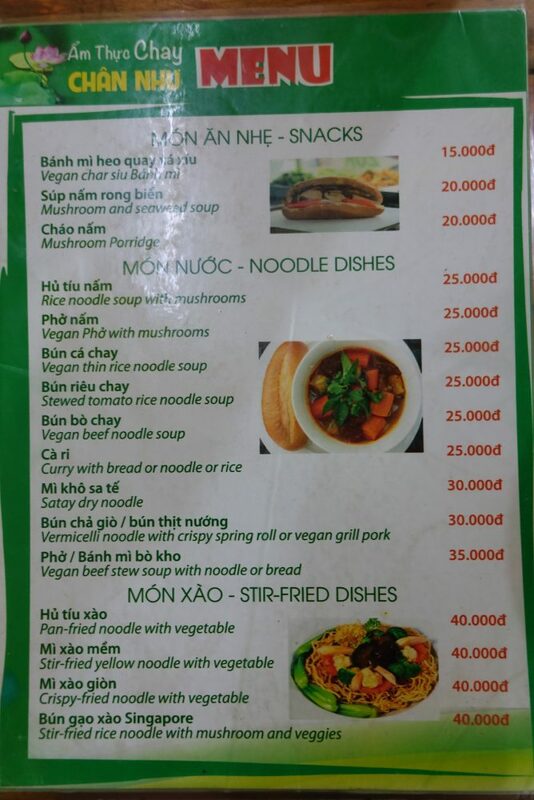 The buffet is 20,000 VND and gets you a small portion of rice with vegetables and/or mock meat. I never went for this option, because there weren’t too many vegetable options. That being said, my man went with the buffet on several occasions and loved it. 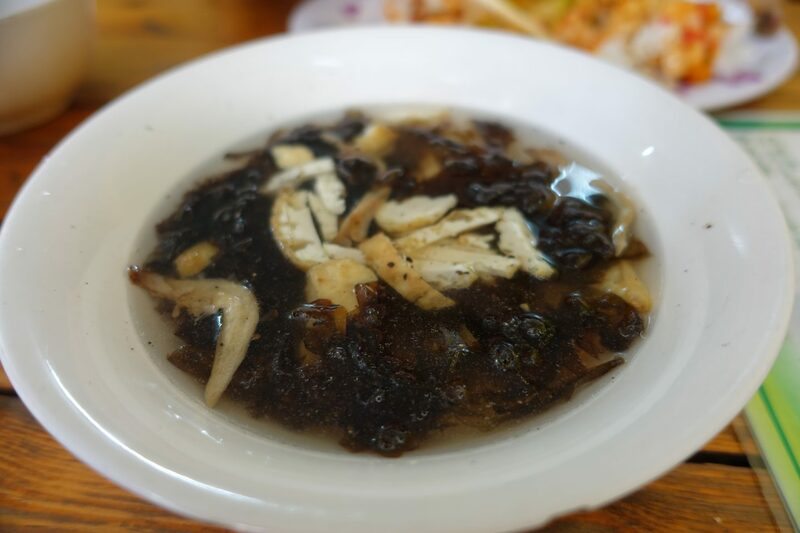 I went to Chan Nhu II almost every day and tried a great variety of dishes. This list consists of my absolute favorite dishes that I can only highly recommend. 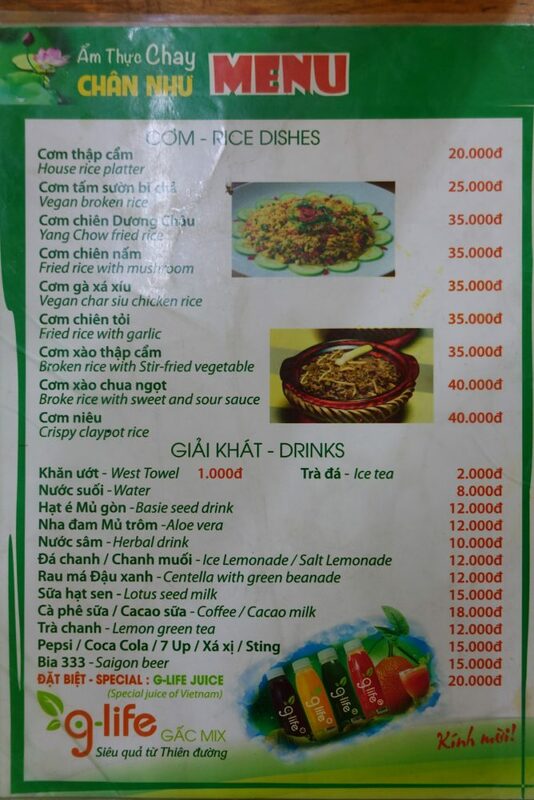 Another favorite of mine at this amazing vegan restaurant in Ho Chi Minh City is their mango smoothie for 15,000 VND.